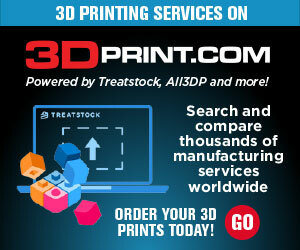 Welcome to Ten 3D Printable Things, where we showcase 10 fantastic and FREE 3D printable projects, designs and models from all over the web. Adult Swim’s animated science fiction series Rick and Morty follows the absurd, hilarious and surreal adventures of super genius Rick and his sweet, innocent and hapless grandson, Morty. The mismatched pair travel throughout the universe, multiverse and an assortment of small pocket universes and alternate timelines looking for fun and/or fixing huge cosmic messes of their own creation. 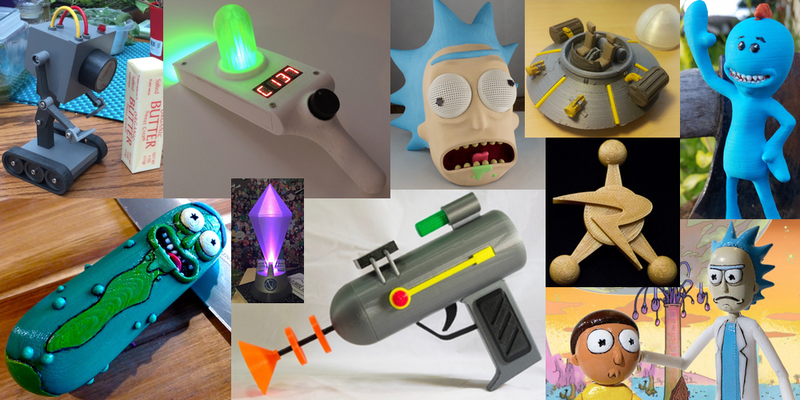 This week, here’s a look at the ten coolest Rick and Morty themed 3D printing projects and models that I could find! Rick’s Portal Gun allows Rick and Morty to zap themselves into and out of a wide variety of outlandish locales, locations and timelines. This 3D printable version includes directions for making it really light up, making it a great 3D printing and electronics project. The creator has included detailed assembly and printing instructions as well as a part shopping list, so you can easily track down everything that you’ll need to build it. These fantastically detailed articulated action figures have a ton of fun accessories, alternate hands and heads so you can really customize them virtually any way that you want. You will need to do a bit of painting once you’ve printed all of the various parts, and the parts will need to be assembled. You can 3D print a Rick toy, a Morty toy or print both. You can even mix and match parts and make your own messed up creation. Rick Sanchez is the smartest person in the universe, but he’s only one of many Ricks from throughout the multiverse. In order to preserve the integrity of the universe and prevent rogue Ricks from doing any serious harm, a large group of Ricks formed the Council of Ricks. Together they monitor time and space, making sure that none of their own are causing too much problems, each bringing their own unique Rickness to the Council. This 3D printable badge will easily identify you as a member of the Council of Ricks. There is also a remix with a magnetic back available so you don’t need to add a pin to the badge. When he’s not using his portal gun to get around, Rick uses the spaceship that he built out of things that he found in his garage. This great 3D printable version of his spaceship has a ton of great detail, including the taped-on flashlight headlights and garbage can engines. The model includes a dome that should be printed in clear filament, and another Thingiverse user was kind enough to separately design a bottom for the model. When Rick needs the butter passed but his family is too busy being dysfunctional to oblige he does what any super genius inventor with a god complex would do to solve the problem, create a sentient robot to do it. And of course super genius inventors don’t worry about the existential questions that his creation has for him, he’s got toast to eat. Now you can make your own butter passing robot, however it can’t pass the butter and probably won’t question its existence and isn’t even a real robot. I made a mess of this description didn’t I? When the universe is in trouble and the Vindicators need to assemble, the VindiBeacons light and bring the universe’s most powerful heroes together to save the day. If you happen to be near the beacon when it starts lighting up you help the universe.. or use this as 3D printable design as a killer night light! Mr Meeseeks comes from a Meeseeks Box, an invention of Rick’s that brings helpful blue creatures into our universe with one purpose in life, solve whatever problem is asked of them. That sounds incredibly simple to not make a mess of, in a quest to finish a handful of simple chores his family finds the fatal flaw in his time saving solution. This is a great collection of various Meeseeks figures so you can recreate scenes from the episode, or make up your own. This awesome Rick mask is perfect for a Halloween costume, or to be hung on your wall as a decoration. 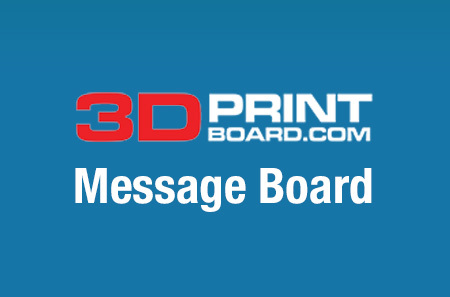 It prints in about a dozen parts and will need to be assembled and painted, but it’s a great project if you have a printer with a smaller printing bed or are looking to practice your post-processing and painting skills. You can’t go on adventures throughout the multiverse without some sort of protection, so Rick often takes along his powerful laser gun on more dangerous outings. This great project has a ton of detailed parts and you can print them in different colors or paint each part individually. This list wouldn’t be complete without a 3D printable Pickle Rick, naturally. If you’re not sure what a Pickle Rick is, it is, of course, Rick transformed into a sentient pickle. And yes, there is a Pickle Rick wearing the rat exo-suit, because of course there is. That’s it for this week! As always, you can email me your feedback and theme suggestions, and I always love to see what 3D printing projects you’ve been working on. You can also find me on Twitter @SJGrunewald, so say hi and feel free show off what you printed. 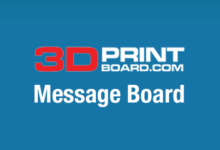 Tag your 3D printing rpoject #103dpthings and you’ll get an RT!